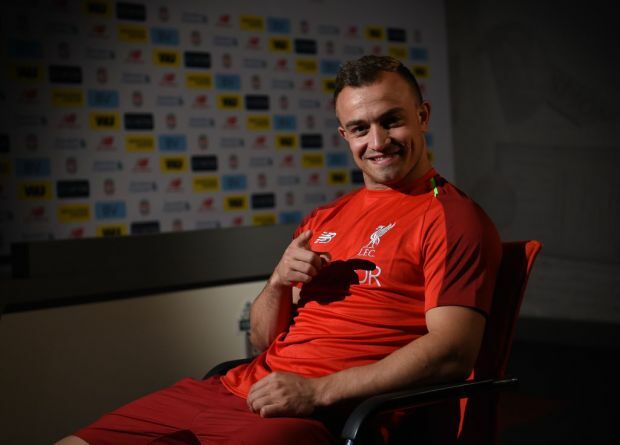 Liverpool new signing Xherdan Shaqiri has revealed he is happy he was able to complete a move to the club. Shaqiri completed his move to Liverpool on friday after passing his medical. He has now become the club third signing of the summer. Speaking after signing his contract, the former Stoke City man reveals he is happy he signed for the club and can't wait to play with his team-mates. Shaqiri was giving the number 23 shirt and will now join his new team-mates for the pre-season training.